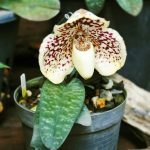 When it comes to plant roots, there are all sorts and one of the more common includes aerial roots on houseplants. So you’re likely asking, “What are aerial roots and can I plant aerial roots to make new plants?” For answers to these questions, keep reading to learn more about plants with aerial roots. Aerial roots are roots that grow on the above-ground parts of a plant. Aerial roots on woody vines function as anchors, affixing the plant to supporting structures such as trellises, rocks and walls. Some types of aerial roots also absorb moisture and nutrients, just like underground roots. Plants that live in marshes and bogs have underground roots, but they can’t absorb gasses from the air. These plants produce above ground “breathing roots” to help them with air exchange. Why Does My Plant Have Roots Coming Off the Sides? Aerial roots perform a number of functions. They help with air exchange, propagation, stability and nourishment. In many cases, aerial roots can be removed without harm to the plant. In some cases, however, they are essential to the plant’s health and best left alone. 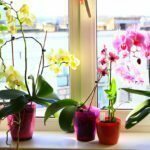 Can I Plant Aerial Roots? Aerial roots on houseplants provide good examples of roots that you can plant. You’ll find one of the most familiar examples of this on spider plants. Often grown in hanging baskets, spider plants produce plantlets that dangle from specialized, wiry stems that arch outward from the plant. Each plantlet has several aerial roots. You can propagate the plant by snipping off the plantlets and planting them with their roots under the soil. Windowleaf plants are houseplants that make unique use of aerial roots. In their natural habitat, windowleaf vines climb trees, reaching high into the rainforest canopy. They produce aerial roots that grow downward until they reach the soil. The stiff roots act as guy wires, supporting the weak stems in place. You can propagate these plants by clipping off a piece of stem just below an aerial root and potting it up. Not all plants with aerial roots can be planted in soil. Epiphytes are plants that grow on other plants for structural support. Their aerial roots are meant to stay above ground where they gather nutrients from the air and from surface water and debris. Epiphytic orchids are an example of this type of plant. The color of aerial roots can tell you when it’s time to water your epiphytic orchids. Dry aerial roots are silvery-gray in color, while those that contain plenty of moisture have a green cast.